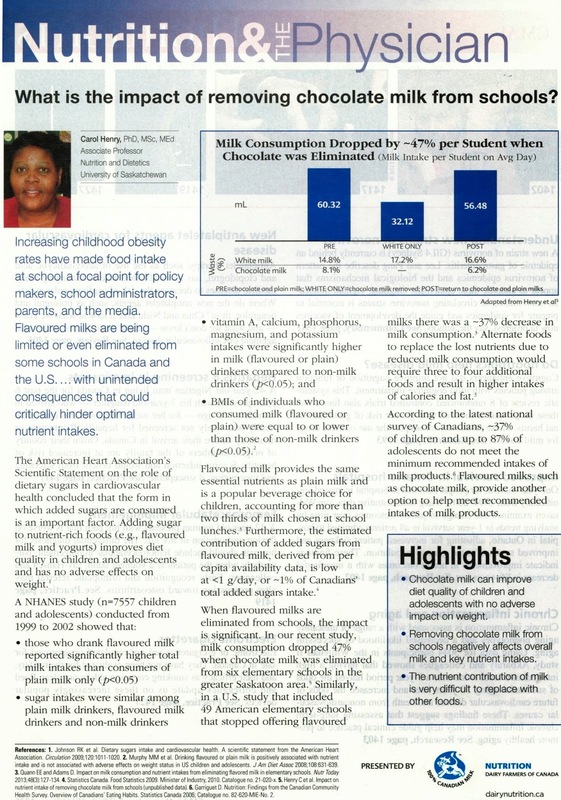 In an infomercial style advertisement placed in the Canadian Medical Association Journal by the Dairy Farmers of Canada, Associate Professor of Nutrition and Dietetics Dr. Carol Henry makes the case for school based chocolate milk programs. "the estimated contribution of added sugars from flavoured milk, derived from per capita availability data (ed. note: and hence not applicable to students in schools) is low at less than 1g/day". 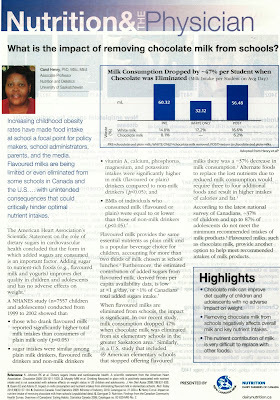 Just as a reminder, chocolate milk, drop per drop, has up to double the calories and 20% more sugar than Coca-Cola. One small 250mL carton a day consumed for a year would provide a child with 21.7 pounds of sugar - more than half of those added. All this to say, I wonder if Dr. Henry would approve of a national school apple pie program to try to encourage the consumption of more nutrient-rich apples?